One of the main events of the 500th anniversary of his death begins this October at the Uffizi Galleries of Florence, with the exhibition "The Leicester Codex of Leonardo da Vinci: Water as Microscope of Nature." 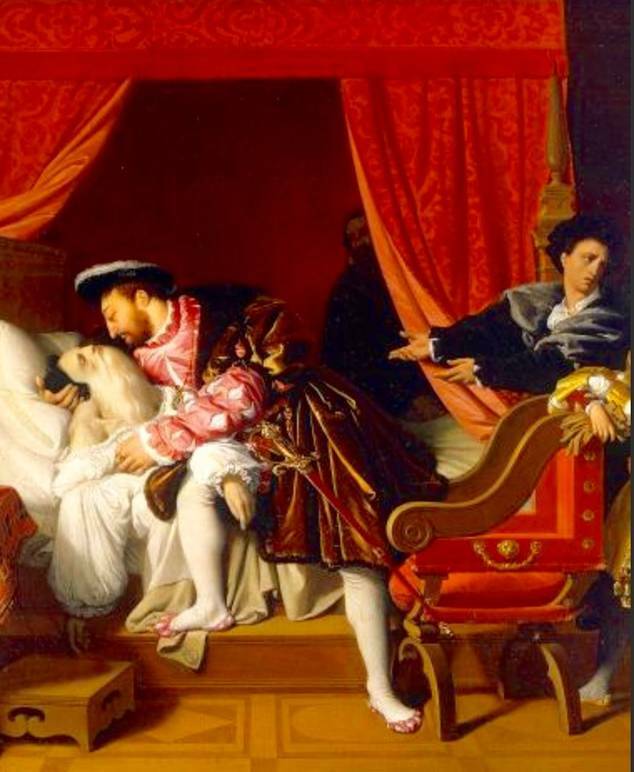 0n May 2, 2019, Italy and the world honor the day, 500 years ago, when Leonardo da Vinci died. A host of exhibitions offered in Italy will last much of the year. 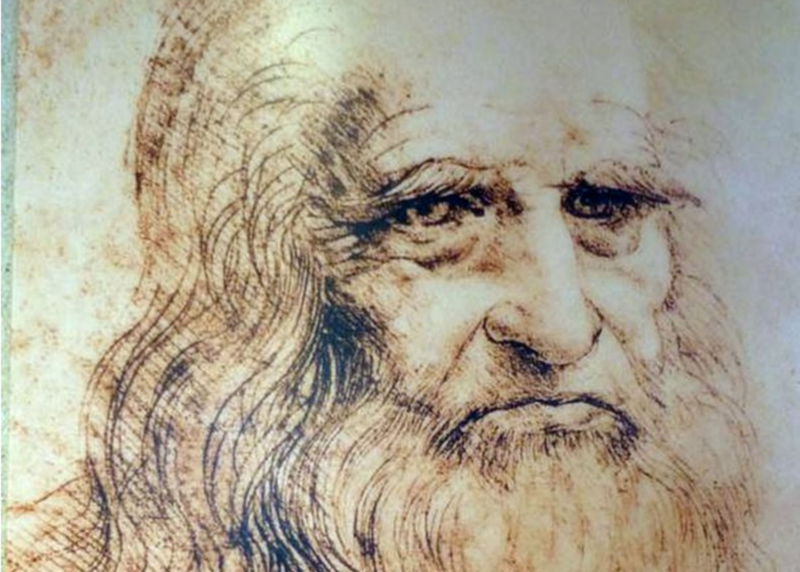 ROME -- On May 2, 2019, Italy and the world honor the day, 500 years ago, when Leonardo da Vinci died. In fact, a host of celebrations are planned here and will last much of the year. In March the celebration committee created by the Ministry for Culture and Tourism elected Prof. Paolo Galluzzi, who is director of the Galileo Museum of Florence, its president. Other committee members include Prof. Vincent Deleuvin, curator of Italian 16th C. painting at the Louvre; Prof. Luke Syson, curator of European sculpture and decorative arts at the Metropolitan of New York, and Pinin Brambilla Barcilon, restorer of "The Last Supper." This touching scene of the king cradling the artist's head is unproven but is possible albeit, "With Leonardo, nothing is so simple," writes Walter Isaacson in his carefully researched Leonardo Da Vinci, The Biography (Simon and Schuster, 2017). Leonardo was buried in the cloister of the Church of Saint Florentin at Amboise, "but the current location of his remains is another mystery," writes Isaacson. The church was demolished in the early 19th C., and, although excavation decades later revealed bones, they are cautiously described as Leonardo's "presumed remains." One of the main events of the 500th anniversary of his death begins this October at the Uffizi Galleries of Florence, with the exhibition "The Leicester Codex of Leonardo da Vinci: Water as Microscope of Nature." 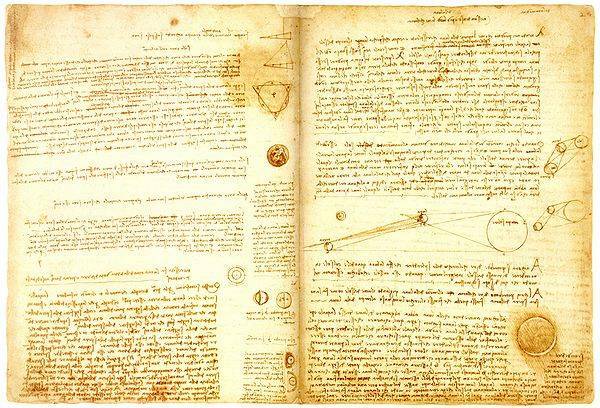 The 72-page Codex, which discusses the movement of water, fossils, and moonlight (among other topics) is being loaned by Bill Gates, who purchased it in 1990 for over $30 million. Already on view in Turin at the Biblioteca Reale is the famous self-portrait of Leonardo after two years of restoration. Works on view with the self-portrait will be Italian Renaissance drawings called "Intorno a Leonardo, Disegni italiani del Rinascimento," from July 8 through Sept 15. "For 2019 we are planning to open a permanent display of the 13 Leonardo drawings which we own, in addition to the Codex of the Flight of Birds," says director Enrica Pagella.